Where do I start? 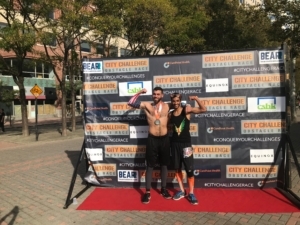 Okay, so last week I did my second ever City Challenge Race at 100 Frank Sinatra Drive in Hoboken, NJ. And I would like to make a comparison of this race with the first one I did back in July at Icahn Stadium on Randall's Island. City Challenge motto is “Think Outside of the Mud”, which basically means that this race is not like your regular Mud Run because there is no mud whatsoever on this particular race, which to some folks might be a disappointment, given that the spectrum of OCR relies on getting dirty on the course and having a good time. 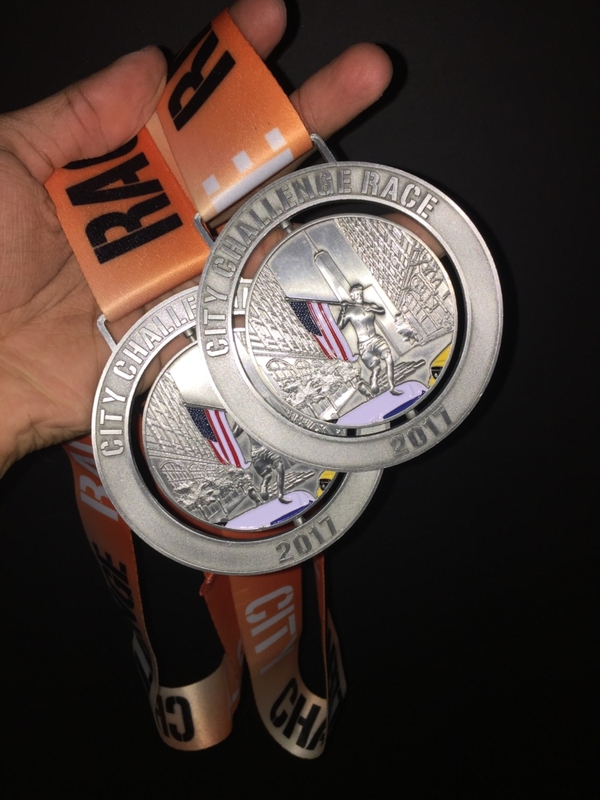 However, you will experience the same enjoyment on City Challenge as on any other OCR, with or without the mud. This is just their unique way for advertising their race and also to encourage people to try new things. Give it a try if you have not done a City Challenge Race yet, highly recommended. The first race I did was a 5k with 20+ obstacles. This time though, there were only 18 obstacles and the course was slightly shorter. And not only that, but they posted the course map on their Instagram page and the obstacles were not arranged the way they were displayed on the picture. That was a bummer for me because I studied the course map ahead of time, and figured that one of the obstacles, called “cinder block carry”, was at the very end of the course, so I had planned to just run to my max and try to take the lead (I ran in the elite wave by the way) and then I would take my time with the block carry at the end, obviously making sure that nobody passed me. Turns out that they put this obstacle right at the beginning (4th obstacle or so from starting point). Something else I was disappointed at, was the fact that the sensor that keeps track of the ‘timing chips' broke, and the guy in charge at the finish line had to run to another tent to get a clipboard and a pen to write down the times and names of the contestants individually. The issue was that some athletes got to the finish line while this guy was not present, so many of them did not get their official time, and the whole list of finishers got messed up from here on because of a technical mistake. By the way, I am not blaming this on anybody, I am just sharing what I experienced and my personal thoughts on the subject. On the bright side, I enjoyed the race as much as the first time and had a blast with some old friends at the after party. Tip of the day: Always go to the after parties guys. I have to say this, volunteering is not the best, but it pays for your race. Let me explain myself here: For those of you who do not know this, or for those that are new to OCR, on most races, you can volunteer either prior, post, or on race day, and gain a free entry to a future race. This is a pretty legit deal if you ask me. I have done 7 OCR total and I have volunteered on 5 of them. Yes, I am cheap as hell! But hey, I get to run for free and I am not ashamed of it. You guessed right, I volunteered for this race too. And let me tell you, it was not fun. My girlfriend and I signed up to volunteer for the afternoon shift (1 pm – 6 pm) because I ran the elite wave at 8:30 am. Only four (4) people total, including me and my girl, signed up to volunteer for that time. So we had to take down the WHOLE course with help from the construction people (like 10 men) that City Challenge hires to build and take down the courses. I got more tired (physically), after taking down the course than when I ran the course in the morning, and again, I ran with the elite. At the end of the day, I still earned a free race for a future event, so that is a plus, and I cannot complain. Both races were as great as any other OCR I have done before. Whatever happened that might of have been of a disgust for some people, is already in the past, and we have to move on. I know that some athletes were disappointed by the fact that their finish times were not accurate, but life is not fair, some days are good, some are not so good. Have you done an City Challenge Obstacle Race?